Finding your place takes courage. Sixteen-year-old Libby Winters lives in Paradise, a seaside town north of Boston that rarely lives up to its name. She and her father Bent, a former soldier turned policeman, share the middle apartment in a triple decker home while Bent’s two sisters occupy the top floor, caring for Libby when her father works nights. Shuffling back and forth between apartments—and the wildly different natures of her family—has Libby wishing for nothing more than a home of her very own. Quinn Ellis is at a crossroads. When her husband John, who served a tour in Iraq with Bent, goes missing back at home, suffering from PTSD he refuses to address, Quinn finds herself living in the first-floor apartment of the Winters house. 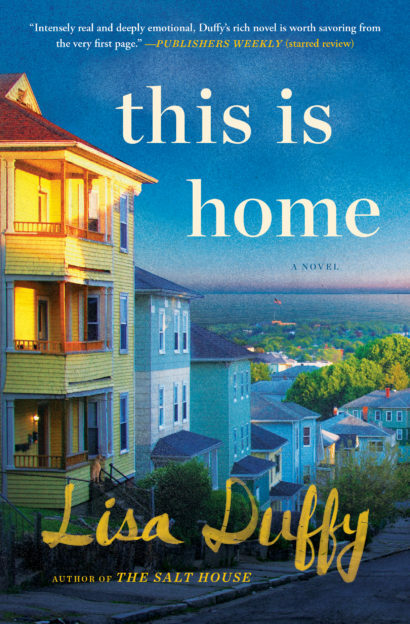 Pre-order This is Home, available June 11, 2019 here.